My Perfect One Bowl Vanilla Cupcakes with Vanilla Buttercream Frosting are sure to become your favorite! Last week I asked you guys what recipe you’d most like to see on Baker by Nature and the response for Classic Vanilla Cupcakes was (awesomely) overwhelming! 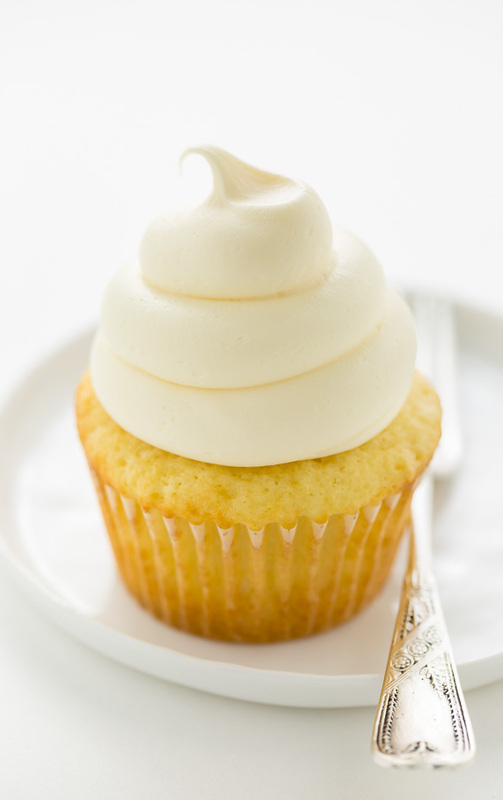 Lucky for us, I’ve had this incredible one bowl vanilla cupcake recipe on the blog for years. It just needed a little… facelift! So here we are; new photos, tons of tips and tricks, and a foolproof recipe for One-Bowl Vanilla Cupcakes with Easy Vanilla Frosting. I hope you’ll make them, fall in love with them, and share them with everyone you know. This recipe calls for cake flour. Cake flour is extra finely ground, which gives our vanilla cupcakes their silky soft texture. In most grocery stores you can find cake flour in the baking aisle. If you can’t find it – don’t fret! You can buy it here online, or make your own! Making your own cake flour is easy, and only requires two ingredients: cornstarch and all-purpose flour. Here’s what you do: For every 1 cup of flour called for in the recipe, remove 2 Tbsp of flour. Then add in 2 Tbsp of Cornstarch for every 1 cup of flour (you’re replacing the tablespoons of flour taken out with cornstarch). Sift this mixture a few times (you want it well combined) and that’s it – you just made ready-to-use cake flour. For the best flavor, I highly suggest using Pure Vanilla Extract. When you measure your flour, be sure you’re not packing it into the measuring cup. 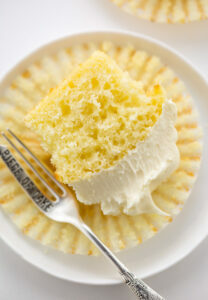 Packed flour will yield dense and dry vanilla cupcakes. For the vanilla buttercream frosting, you’ll want to make sure your butter is VERY soft before creaming it. To decorate, I frosting the cupcakes using this kit with the open round tip. If you’d like your frosting to be stark white, omit the vanilla extract or use clear vanilla extract. You will need a handheld electric mixer or stand mixer for this recipe. 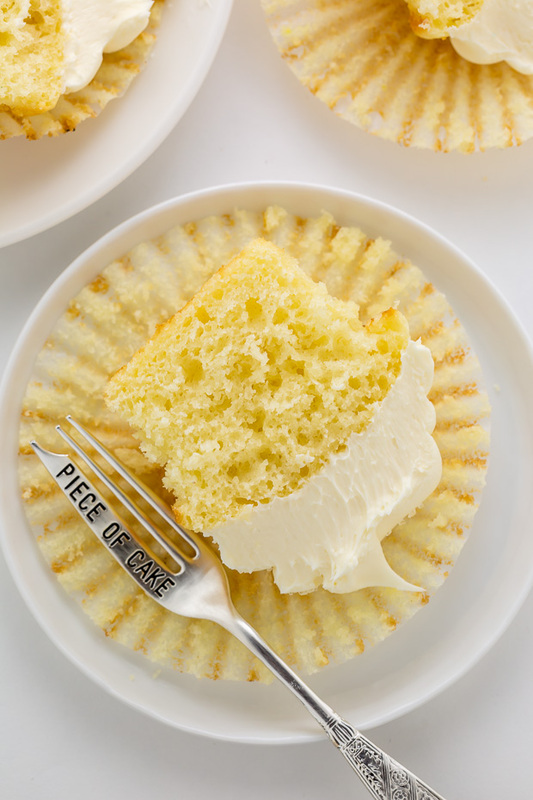 Simply perfect Vanilla Cupcakes made in just one bowl! Top with vanilla buttercream and get ready to fall in love. In the bowl of a stand mixer fitted with the paddle attachment, or in a large bowl using a handheld electric mixer, beat the butter, vanilla, and sugar on medium speed until light and fluffy, about 2 minutes. Add in the eggs, one at a time, beating well after each addition. On low speed, beat in the sour cream, then the milk. Turn mixer off. Add in the cake flour, baking powder, baking soda, and salt. Use a fork to lightly toss the dry ingredients together. Using a rubber spatula, gently fold the dry ingredients into the batter, mixing just until combined. Be sure not to over mix here or you cupcakes will be dense! Spoon batter into prepared cupcake tin (filling 1/2 way each - not more or they'll overflow) and bake for 18-20 minutes. Cool completely before frosting. In a stand mixer fitted with the paddle attachment, or in a large bowl using a handheld electric mixer, beat the butter on medium-speed until completely smooth. Reduce the mixer speed to low and gradually add the confectioners sugar, no more than a 1/2 cup at a time. Once all of the sugar has been incorporated, pour in the milk and vanilla extract. Once all of the ingredients have been incorporated, increase the speed to medium-high and beat for 2 to 3 minutes, or until fluffy. If the frosting appears too thin, add a little confectioners' sugar, one tablespoon at a time; if the frosting appears too thick, add a little more milk, one tablespoon at time. These really do look perfect! I am a chocoholic at heart, but there’s just something about a perfectly light and fluffy vanilla cupcake that I love! How many standard size cupcakes dies this recipe yiels? What if I use self rising flour? Ooh, I love your picture of the sprinkle jar! I could down that, no problemo. Love these perfectly fluffy cuppycakes! these look so decadent and i love the fluffy frosting! the one-bowl is such a wonderful thing 🙂 less cleanup is always my friend! Woah, what an amazing job considering you were just about to head for travel! Sprinkles rock! These vanilla cupcakes look soooo yummy!! Dude, you’re making me want to bake some RIGHT NOW. . and I think I will. . tomorrow! Printing this recipe now! and love your photos. . esp the aerial shot of the sprinkles. . beautiful! love one bowl anything and with all these adorable sprinkles, mmmm, perfect! a good vanilla cupcake always hits the spot! 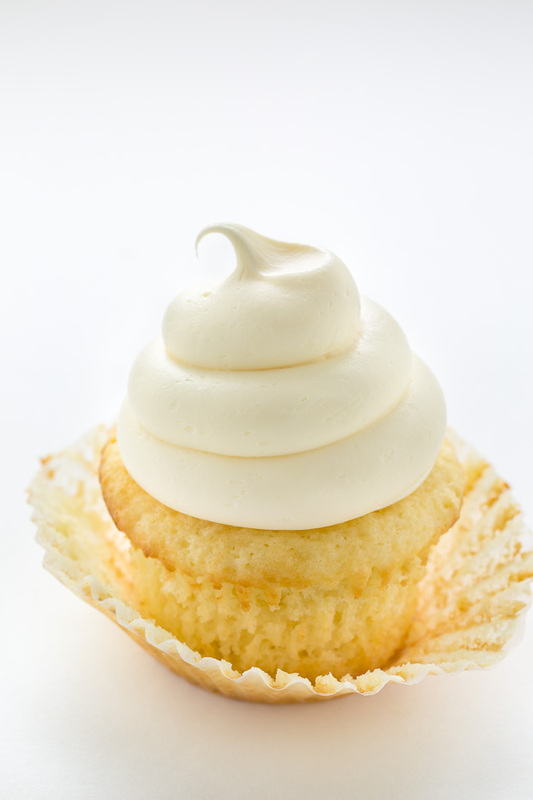 Your can’t go wrong with classic vanilla…and the icing…I could take a bath in that icing! Ashley, your vanilla cupcakes look awesome, and I love the idea of one bowl…less dish to wash! There needs to be more tiny dessert recipes for single ladies such as myself. It’s good therapy. Next up should be chocolate! I love that they’re one bowl. They look fantastic!! How many cupcakes should this make? These look great! Could I make them with regular unbleached all-purpose flour? Do these need to be refrigerated? Will they transport well? I need to take them to a school function and the last time I made buttercream with just butter, it melted. It was not this recipe. Hi, can I use 2% milk for frosting? I will be making these for Christmas, but also need some chocolate ones. How would you adapt this recipe to make them chocolate? Any ideas? Thanks! These are super moist and delicious! Been looking for a go-to for years. A last, I’ve found it. Thank you! Hi! Can you tell me what icing tip you used to frost these and any quick tip for how you did it? I love the way they’re frosted! Thanks for the recipe! Trying it out tonight! Okay, one more question…Did I read somewhere that this makes 2 dozen cupcakes and the icing will be enough for the cupcakes as well? I’ve been reading too many recipes trying to find the perfect one!! Thank you! Hey Jamie Lee 🙂 I used a Wilton star tip, I believe it’s the 8 B open star decorating tip. Can you use this recipe to make a cake, too? Hi Haley. I’ve never tried myself, but if you do I recommend adjusting the baking time as needed. I would keep a close eye on it since I don’t know exactly how long it will take to bake 😉 Good luck! Made these a couple of times. And everyone looooves them. Never going to make vanilla cupcakes any other way from now on. Does this recipe make one or two dozen cupcakes? I just made these!!! They are AMAZING!!! no cake mix is any easier, I made them up in literaly 5 min. I could smell the butter as soon as they came out and they are supper moist and creamy. And thats without the frosting because I just had to try one still warm! THANK YOU SO MUCH FOR THIS GEM OF A RECIPIE. These cupcakes look amazing! My daughter is 2 and loves to be with me in our tiny kitchen baking, so this recipe will be perfect for our activity today!!!! We can’t wait to bake them together! As soon as I asked if she wanted to make cupcakes she smiled and ran to the kitchen…guess I know what we’re doing right now! Hi Hailey. While I’ve never made them in large batches before, I would think as long as you double (triple, etc) the recipe exactly it should work just fine 🙂 Typically the batter comes together in less than 10 minutes – for one batch. Multiple batches will obviously take more time. I typically get two dozen cupcakes from this recipe, with enough frosting for all 24. As for transporting them, I would make sure to chill them for a good 2 hours and transport them in a cool car/van, you don’t want to risk the frosting melting. Good luck! How much icing does this recipe make? I’m planning on making four dozen cupcakes and wasn’t sure how many times I should multiply the recipe. Hi Hannah. The recipe makes just about (give or take) enough frosting for two dozen cupcakes. I would double it if you plan on modestly frosting the cupcakes, or triple it if you’d like to have enough to really slather it on. I feel like I have made close to 50 variations of vanilla cupcakes, searching for a tried and true go to recipie!! This is it! Amazing!! Would this be enough to frost and fill a two layer cake with standard round 9in cakes. Or should i add a extra butter stick and some more powderes sugar? Also can i use heavy cream instead of milk? Heavy cream for the frosting that is. 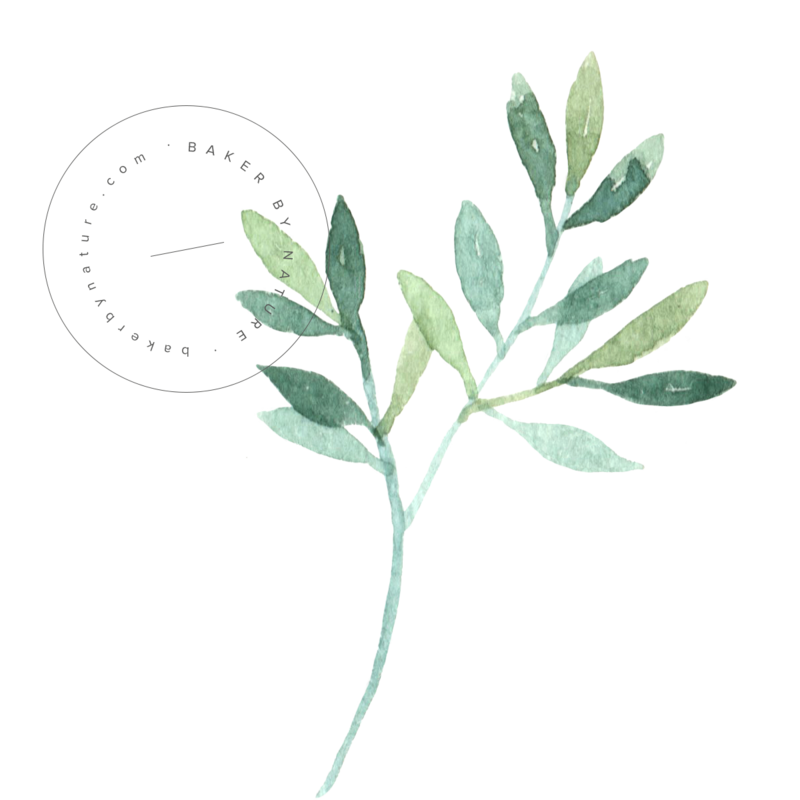 Could I substitute Canola oil in place of butter? Hi Robin. I don’t think that would work since the texture of canola oil and softened butter is much different. Good day. I just made these heavenly clouds. I must say I had to exercise self control otherwise I will eat all. They are the perfect light,soft cupcakes. However I made one change I used the creaming method. Thanks for the work you are doing. God bless you. I have found the answer to the question above. Thank you. Great recipe! Is it possible to substitute the sour cream with something dairy free ? Thanks. Hi Chloe. I have very little experience baking dairy-free, so I’m not sure what a good replacement would be. I wouldn’t want to mislead you with untested advice. I made these cupcakes today……DELICIOUS and MOIST!!!!! SO happy to hear it, Celeste 🙂 Thank you!!! These cupcakes were absolutely mind blowing. They were so light, airy, flavorful and simply beautiful to look at. I shared these with several neighbors and they thought they were the best cupcakes that they have ever tasted. The cupcakes were so easy to prepare. Thanks for sharing!!! Fantastic recipe, simple and yummy! So hard to find a good (easy) vanilla recipe! Made these today with my nieces and everybody loved them. Found your recipe on Pinterest. The cupcakes were light and moist and soo good! I wasn’t able to follow the recipe completely but hopefully next time I can when I have the correct ingredients. I had no sour cream so I substituted plain kefir in its place.I only had about a 1/2 cup kefir so I added a lil more milk 3/4cup. I was afraid it would make it too runny but the batter was a great consistency. I made slightly larger cupcakes, 18 in total. My only issue was baking time. 18-20 minutes was way too long and mine where done in about 13-14 mins and very much browned. My oven is older so I’m thinking maybe the temperature isn’t always correct. Thanks for sharing! So happy these were a hit, Jaz! I was a little sad when I came here looking for my favorite go-to recipe and it had changed. Is there a place to find the original? Thank you! I gotta say, I love the old recipe because it’s very easy. But this new version is FANTASTIC. Best vanilla cake I have ever made. Hi Ashley! 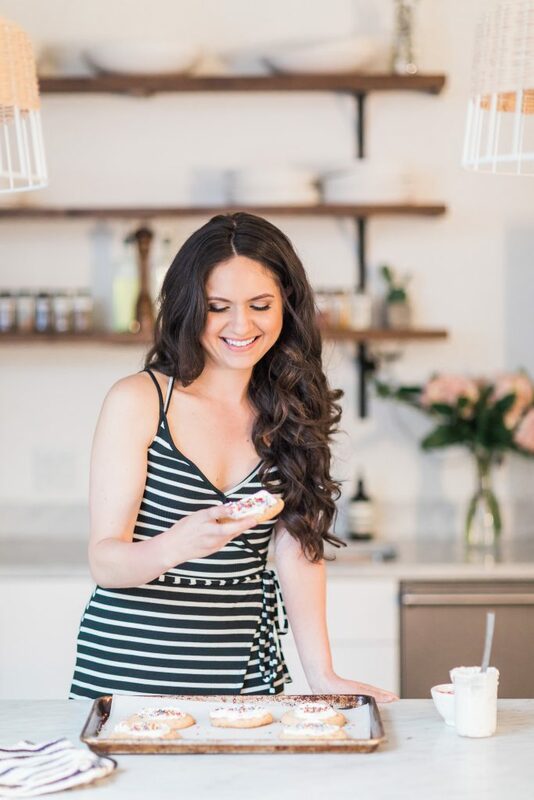 I’m SO happy you enjoyed the revised version of this recipe! The old recipe was great, but as I become a better baker, I love to come back and revise recipes as needed. Thanks so much for your continued support 🙂 Happy Baking! Do you think I could make a vanilla cake with this recipe? I’ve tried dozens of recipes for vanilla cupcakes and this was by far the best. It’s sweet and the vanilla comes out perfectly! I was worried about not having cake flour on hand and followed the directions above and it turned out great and was super easy! I always ran out of sour cream and substituted vanilla yogurt which worked well. CAN NOT SAY ENOUGH GOOD THINGS ABOUT THIS RECIPE, INSTANTS CLASSIC. Can I make mini cupcakes with this recipe and how long to bake them for? I made these cupcakes yesterday. They are so good, so soft, moist and tastefull. I was searching for a vanilla cupcake recipes for long time but non was to my taste. this is THE one. Just one thing ; they did not become brun on the top, they stay white. My oven was at 350oF as you recommand and I know that the to is accurate. I tried to put the oven à 375oF and it was a little less white. I can’t find what went wrong ! Can you help me ? I just made these and they are so perfect!! I subbed greek yogurt for sour cream because that is what I had on hand. I have not made the frosting, but the cupcakes are perfect! Thank you! Hi, I can across your recipe on my search for the perfect vanilla cupcake and want to give them a try for my daughter’s class party. Can these be made as mini cupcakes, and if so, how long would you bake them for?